Our favourite Ayia Napa hotels. We have known Ayia Napa since the 1980s. We’ve seen it grow from a small village with just a few Cypriot tavernas and the beautiful nissi bay which still has the cleanest water we have ever seen and very safe for children. Now its a large buzzing resort with a multitude of different eateries AND the most varied types of hotels and holiday apartments to suit any budget. We know many of the Ayia Napa hotels around and of course have our favourites. Our daughter, who works for a car hire company in Ayia Napa has her favourites too as she is always out and about delivering rental cars to every Ayia Napa Hotel. 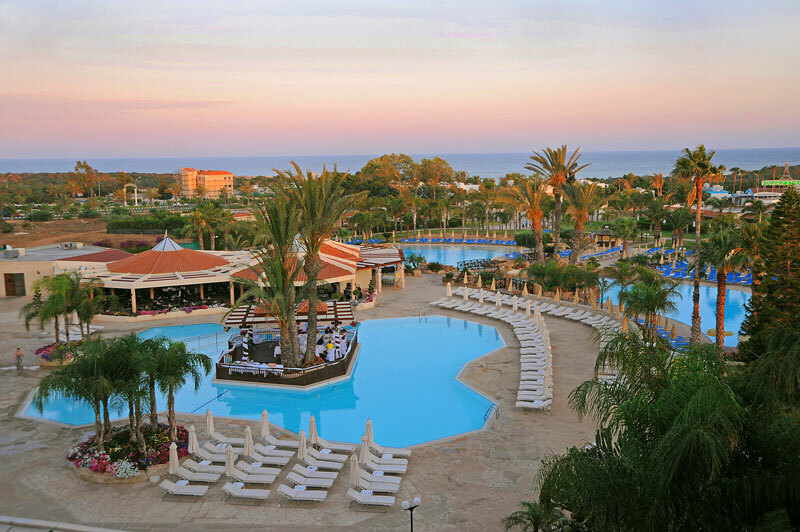 We have experience of all the Ayia Napa hotels that have made our list of favourites. They suit any budget from low to high end luxury hotels. Including cheap 1 Star accommodation. Yes...that’s right, they do still exist. Not a lot of people know that! We’ll also give you our inside knowledge about some of the best and cheapest places to eat in Ayia Napa. We love to eat out. Ayia Napa is only 10 minutes from our house; it’s the closest place to go for breakfast, lunch or dinner. But first things first... take a look at our favourite hotels. Maybe you'll find one that interests you. If you wish to read more about any hotel, I’ve added a link to tripadvisor so you can read about previous guest experiences. There’s also a link to get more details about each hotel, live prices and availability too. At the bottom of the page there is a link to view all Ayia Napa hotels. 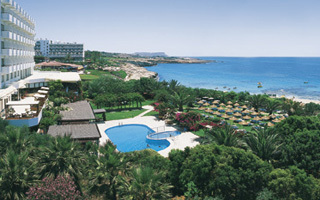 I hope you enjoy browsing our selection of Ayia Napa hotels. he Paloma is a cheap Cyprus Hotel which has everything you need for your stay without breaking the bank. Situated only a few minutes from the town centre. 1km from the fishing harbour and Grecian Bay beach. Air conditioned complex which has 9 studio and 33 self catering 1 bed apartments. Restaurant, bar, swimming pool, hot tub, internet service, laundry and dry cleaning services. Guest rooms are spacious with open plan living area with a sofa bed. The kitchen area has table and chairs. Each apartment has a balcony or patio area. Alexia complex has just 18 self catering apartments. Fantastic location next to the beach and fishing harbour. Only 5 mins to town centre, but still far enough away from the nightlife to get a good nights sleep. Outdoor swimming pool, pool tables, tv lounge area, snack bar. Guest rooms have living area with a/c, sofa bed, safe, equipped kitchen area including microwave. Quiet location, located on the sandy beach area. Within walking distance of town centre and nightlife. Guest room are equipped with a/c, satelite tv, mini bar or a fridge if you wish. Each room has its own balcony. The Nestor is located just 300m from sandy beach and a few minutes walk to the town centre. If you travel by car, the Nestor hotel has a private parking garage. Facilities include, hot tub, fitness room, sauna, pool, childrens playground, bar and hairdressers. Tennis and volley ball court, water polo and table tennis. Guest rooms - you can choose from, family room, a room with bunk beds or a suite. Amenities include, a/c, minibar or fridge by request, hairdryer. Walking distance to the beach, shops, bars and nightclubs. table tennis, snooker and more. Guest accommodation include stylish and well equipped studio or 1 bedroom apartments with a/c, living and full equpped kitchen area, fridge, dining table and chairs, balcony. Swimming pool, playground, Childcare services, On call medical services, several bars, restaurant. Guest room facilities, a/c, television, bathroom with shower and hair dryer, personal balcony. Very close to the beach and 2 miles from the centre of Ayia Napa, 30 minutes from Larnaca International Airport. Hotel amenities include, landscape gardens, 6 swimming pools including lagoon style swimming pool Jacuzzi and spa and fitness gym. You can also hold your Cyprus wedding at the Olympic Lagoon. Guest room facilities include, a/c, satellite tv, internet, hairdryer, minibara safe and much more depending on room choices. Facilities at the Pavlo include, a/c, outdoor and indoor pool,including childrens, ballroom, pool bar, restaurants, Ballards. Health club, hair salon, massage treatments, steam room, internet, wedding services.Banquet facilities, meeting rooms. Guest rooms include. fridge, minibar, iron and ironing board, hair dryer, safe, sewing kits. The Dome hotel is a complete resort with all the amenities you could wish for. 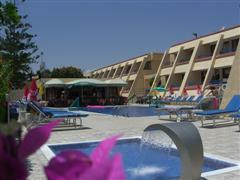 Situated in Makronissos Ayia Napa. Set in 40.000 sm gardens. There are 19 archaeological tombs close by. Walking distance or 5 mins drive to Ayia Napa town centre. Private beaches, 2 pools, gardens rRestaurants, includes beach restaurant, bars, wedding recption venue facilities, theme nights, watersports, paragliding, kids club and so much more. More details, prices and bookings at hotelscombined Read reviews and compare prices at Tripadvisor. Located on Grecian Bay beach, 15 mins walking distance to town centre. 2 bars, hairdresser, shop, internet services and wedding chapel. Indoor and outdoor pools, tennis court, gym, sauna, spa centre, childrens club and much more. Enjoy Cypriot nights, live music other entertainment events. Guest room facilities include, a/c, tv, minibar, hairdryer, mini bar, satellite tv, Honeymoon suites with seaviews available. Situated on Alion beach with many water sports on offer. A short walk from town. Gardens, fitness centre, swimming pool, hairdressers, internet, library and more. Complimentary breakfast. Guest room amenities include satellite tv, internet access, minibar, bathrobes. All the places we like to eat at are on Nissi Avenue. Its the main road which is full of restaurants, pubs, gift shops, boutiques etc. The Kings Sword is a pub restaurant just a short walk from Macronissos beach hotel. It serves fresh homemade style food. You get a good sized breakfast, lunch or dinner which won't break the bank. They show all the sports events on big screen tvs, have a pool table and there is always some entertainment. A real community pub where they like to get to know there customers. Its open all year round. When we fancy a take away lunch we always head to the Eurobakery which has the cheapest and best salad selection around. You help yourself at the salad bar, pile up what you fancy into a large container which will feed 2 adults for less than 4 Euros. They also sell all types of freshly made breads, baguettes and pitta breads. They also have a wide range of other takeway fodd like wraps, pizza and rolls. Their selection of cakes, muffins and celebration cakes are fantastic. You can find the Eurobakery about half way down Nissi avenue on the right as you come into Ayia Napa from the motorway. When we like to splash out occasionally, we head down to The Gardens Restaurant for a posh dinner. The Chefs there are award winners. They offer a wide selection of dishes including Cypriot of course. The food is excellent! There is a play area for kids In the grounds of the restaurant with climbing frames, which keeps the kids occupied while you wait for your yummy dinner to arrive. We highly recommend trying The Gardens Restaurant. Its also about half way down Nissi Avenue. Its sits on a corner, just look for the play area and you've found it. By the way...you'll need to book as they get really busy.